DauCoeur GmbH is the posterity of company “Daucotex “, founded in 1978 by Harald Dau. 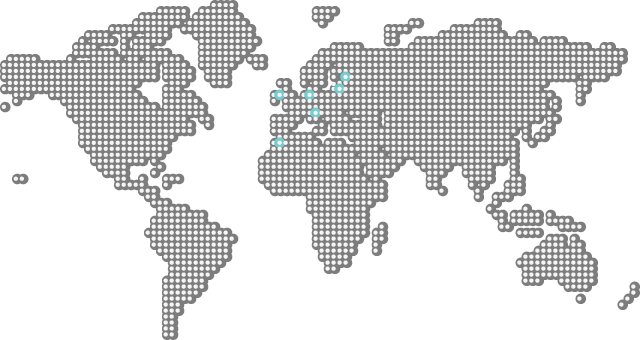 Our offices are located in Hamburg and Berlin, but we operate worldwide. We have made it our task to cover all areas and the needs of guests of hotel and hospitality company. Our services include not only a wide range of products, from textiles to cutlery, decoration and cosmetics, but also a wide range of services so you can concentrate on the essentials. All our products are manufactured in the EU, so they not only meet the highest quality standards, but are also produced in the light of sustainability. As we view environmental and resource conservation as a part of our task, this corresponds to one of our criteria when selecting our partners. From large factories to small businesses, we work only with producers, where the quality of the products is on the focus. Through our European alliances, we can not only guarantee the highest quality, but also a fast delivery. In stock orders you should expect no more than 3 days, for production orders 4-5 weeks. Our aim is that you can concentrate fully on your business - we offer you several services to take a lot of work off your back. This way you avoid the troublesome search for single products and special service providers. To save your time we take care about everything that has to be printed. This could be a complete catalogue, business cards or flyers. Our partner-company in Estonia would love to work following your wishes. Planning -including your individual wishes- is the first step into a beautiful designed landscape. In close collaboration with a highly competent garden and landscaping business, we make sure that all your vision takes form. Visit the website of the landscape architects ! Our purpose is not to make you buy anything, but make a smart choices, which are thought thru, so the products you buy will last and will be in right quality. There is a saying - "we are not rich enough to waste our money on cheap things." Articles under Guidance might help you to make your choice in a objective point of view.